Female Sabagage - Mar. We have kept you waiting. 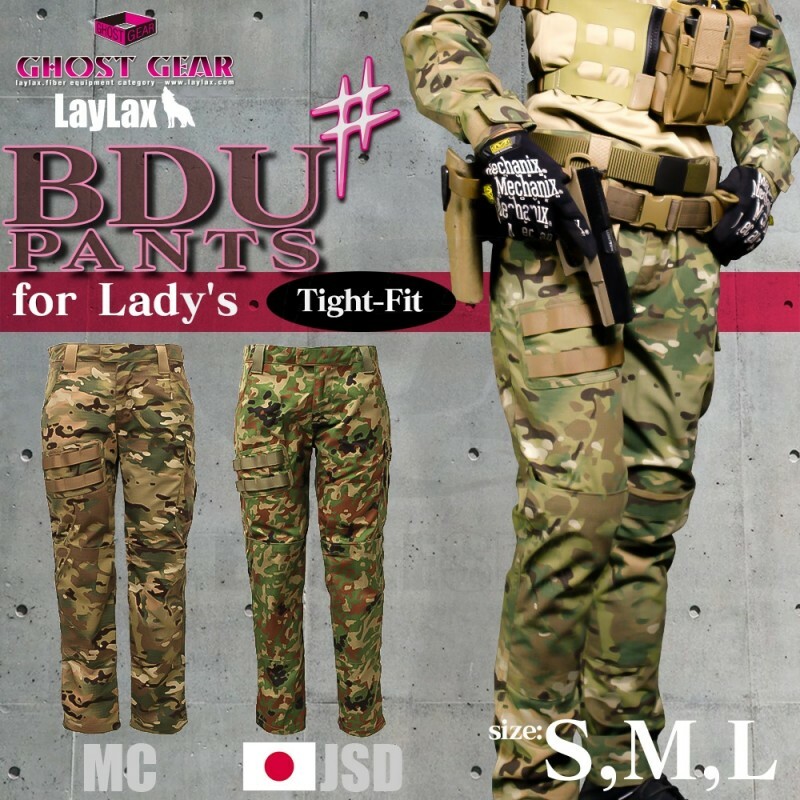 From ghost gear, new ladies' BDU pants redesigned by incorporating opinions from female Sabagage - Maers. Realized a beautiful leg style with a sharp rise, skinny like a skin panel and a mall panel at the front thigh. Moreover, knee pad pocket is arranged in the leg part and knee pad can be inserted. Of course, you can enjoy various arrangements by wearing it with a simple item by using each item individually as well as wearing it in the upper and lower set. Since the waist is zipper & Velcro tape specification, you can change clothes easily while gloves are still on.